Bags and buckets are great, but sometimes you need something more specific. 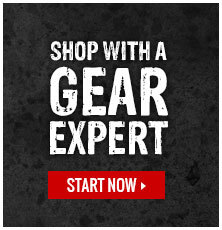 Organization can be the difference between the day starting smoothly and wasting time trying to find the gear you need. Our Gear Experts® have handpicked a range of different organizers that can help you keep your tools and gear neatly separated to make your life easier and help you get the job done. Equipment bags and duffle bags are great. But sometimes they don’t quite hold up to the elements. That’s where outdoor packs come in. These bags have been specifically built to transport items through harsh environments. Your rope is an intricate part of your setup when it comes to solar work. It is your lifeline and transportation line and can be used in many different ways with many different types of gear and equipment. But, rope isn’t always easy to transport. It can get heavy and can take up more space than you’d like. Rope bags solve that problem. GME Supply offers a multitude of rope bags in all different shapes, sizes, styles, and colors. No matter what kind of rope your carrying or what kind of bag you need - we’ve got a solution for you.